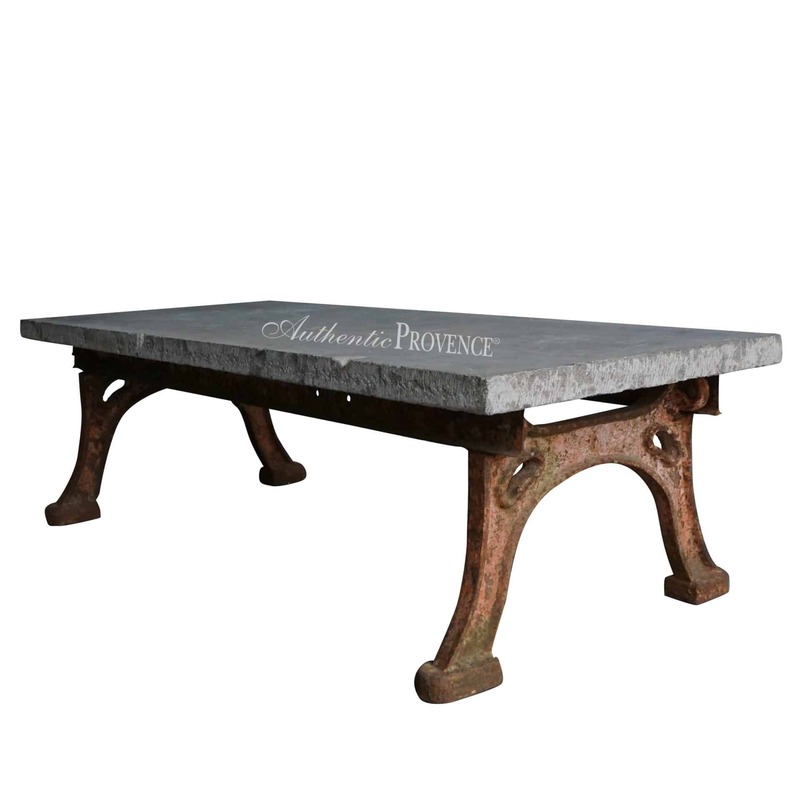 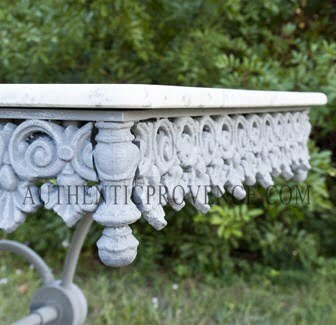 Authentic Provence offers the finest and most traditional antique tables in French and Italian Limestone, distressed teak and tile tops with wrought iron bases. 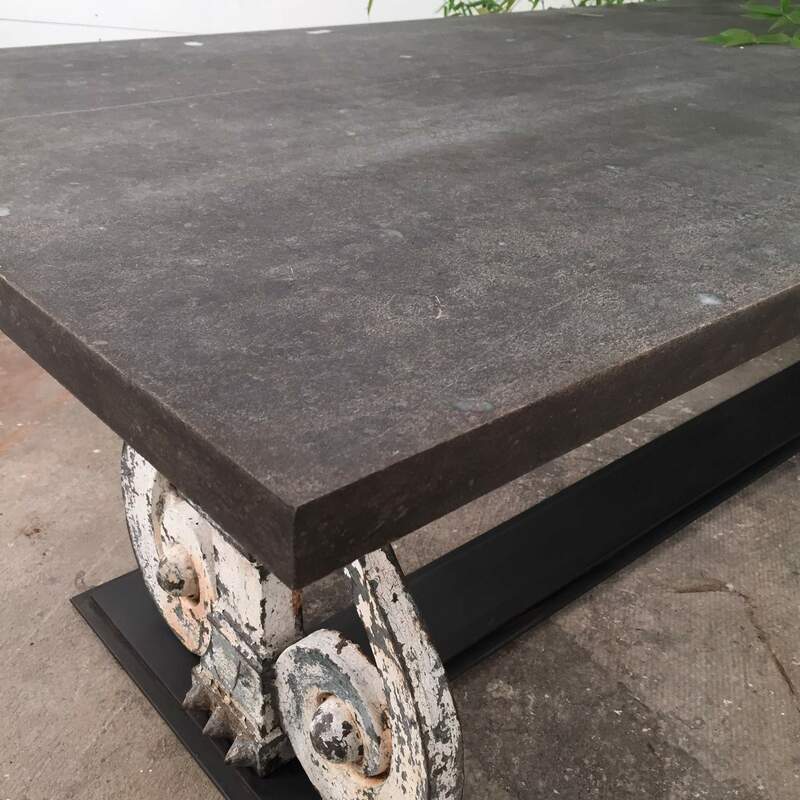 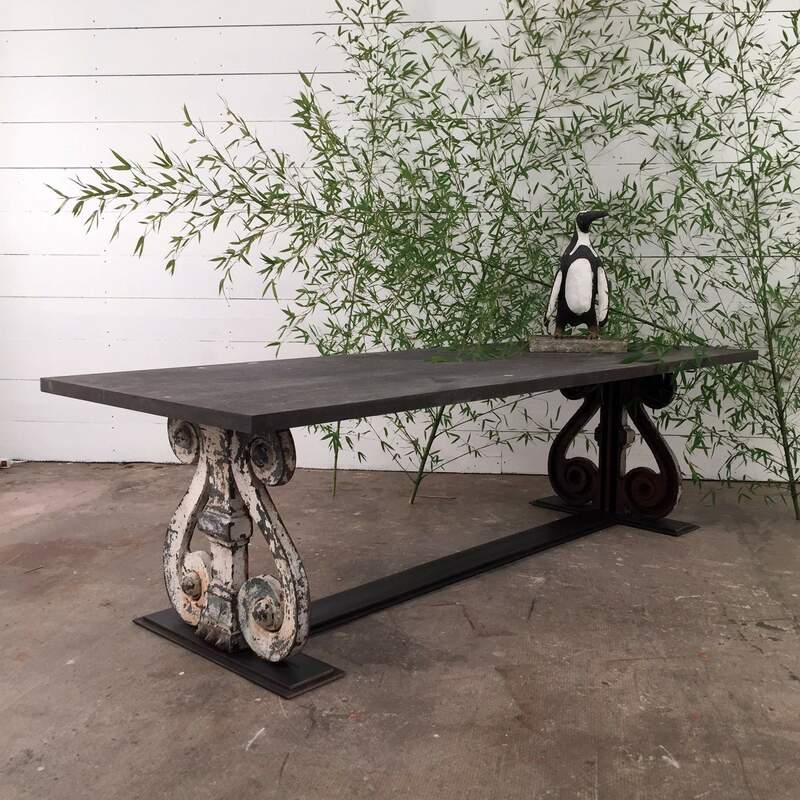 We have a very large inventory and specialize in exceptionally long and oversized outdoor tables, as well as offering custom furniture. 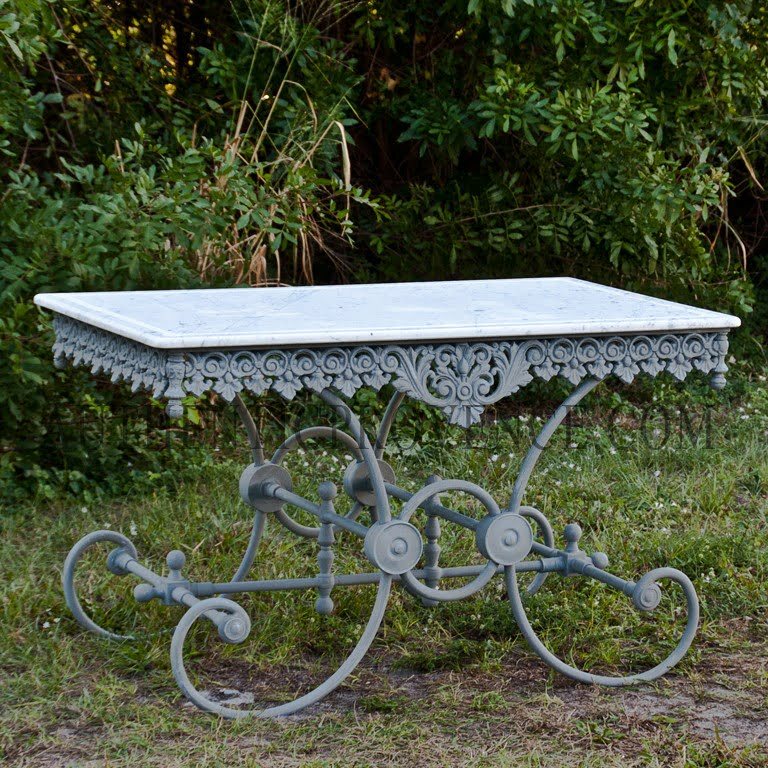 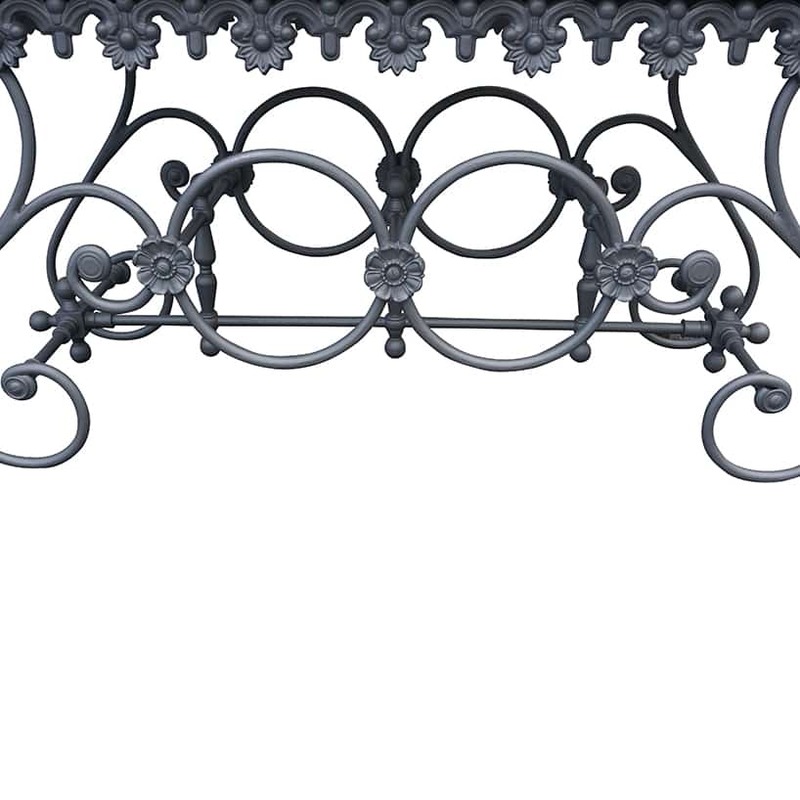 If you like a more contemporary look in galvanized metal, you will find the French galvanized metal furniture from Arras in Northern France interesting. 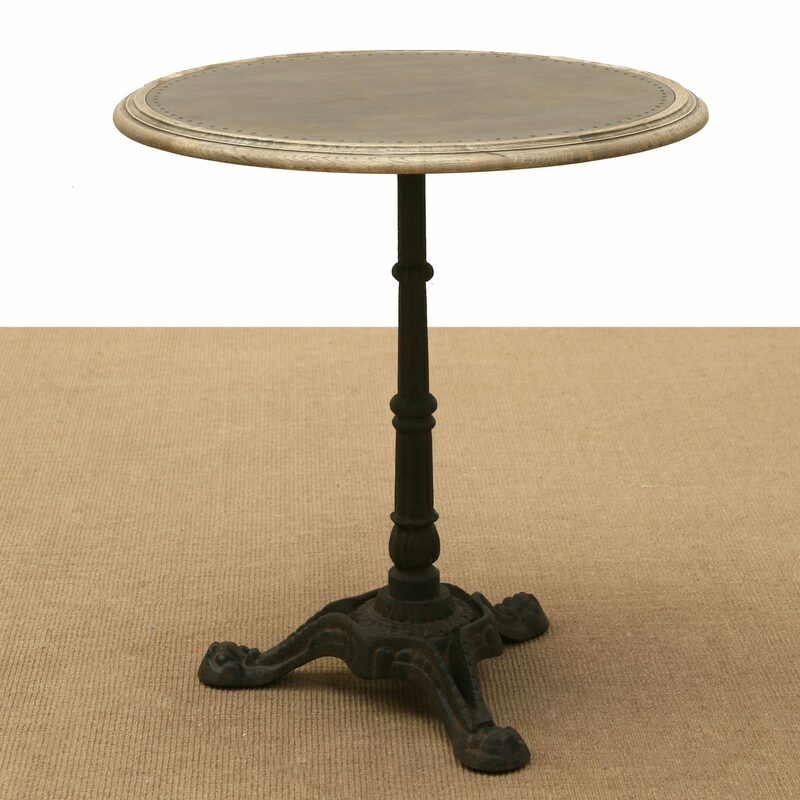 Please view our variety of rare French Faux Bois garden tables and kindly contact us for any custom furniture.